Skyzone SKY03 3D fpv goggles are the upgraded version of the popular Skyzone SKY02 goggles. The SKY03 fpv goggles comes with 48-channel diversity receiver with dual antenna, built-in camera, DVR function and head tracking function. The FOV (field of view) is up to 43 degrees. The innovative embedded front-facing camera also lets you look around you with the touch of a button without needing to remove your goggles. Now you can launch and land your FPV aircraft LOS with ease, or take a quick look at your surroundings while on the ground. 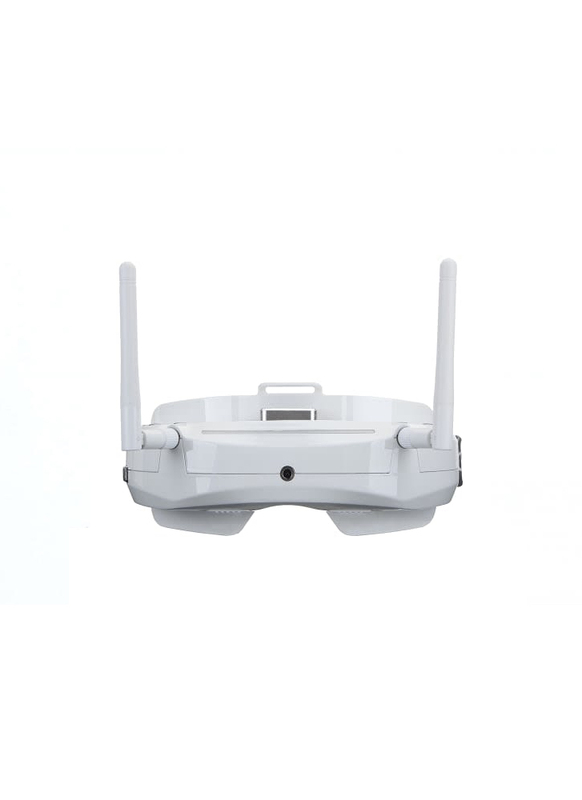 The built-in video diversity offers 48 channels on the 5.8GHz band, compatible with many popular video transmitters such as Foxtech, DJI, Boscam and more. Now you can use 2 different types of antennas, such as an omnidirectional and a directional. Flying in a straight line long distance in the direction you're facing, or closer 360 all around you and the diversity will automatically choose the best reception. The Skyzone FPV Goggles come with all the cables you'll need to get going and includes an embedded head-tracker. Power the goggles via an external battery, ~7-26v (2s or 3s batteries work great). Rev 1.1 aims to remedy the issue many users had with the fit of the faceplate. Skyzone has optimised its design to be better fitted to users noses and increased the face plate comfort. ISM 5.8GHz 48 Channel, Diversity receiver.